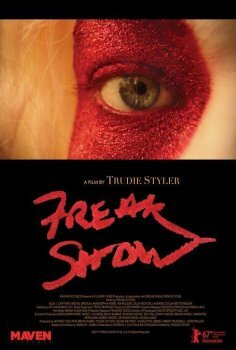 Freak Show - Available as a download or stream? “Freak Show” is the directorial debut of actress/producer Trudie Styler, coming to theaters in the United States on January 12th. The film follows Billy Bloom, a crossdressing teenage boy whom, after moving to an intensely conservative high school, decides to fight back against his agressors by running for homecoming queen. The lead is played by Alex Lawther, starring alongside a strong supporting cast which includes Abigail Breslin, Bette Midler, AnnaSophia Robb, Ian Nelson, Lorraine Toussaint, Larry Pine and Laverne Cox. The story is adapted from a novel by the same name, written by James St. James.